Getting air into and out of your marijuana grow room. In our first article in this series, we spoke about the limitations and benefits of growing marijuana in small spaces. One thing to focus on: your small marijuana garden needs fresh air coming into it, and it needs stale, heated air vented out of it. Some pre-made grow chambers and tents come with ready-made, built-in ports, ducting, ducted lighting, and sometimes even intake and exhaust fans. In a future article, we’ll give you a list of the best marijuana growing chambers and tents you can buy. One math calculation you really do have to make is to multiply the height, width, and depth of your grow space to find out how many cubic feet it is. For example, a cannabis grow space that’s 3 feet wide, 3 feet deep, and 6 feet high is 54 cubic feet total. Your marijuana plants grow best when all the air in your grow space is replaced 2-4 times per minute. Exhaust fans are rated by cubic feet per minute (CFM). In a 54 cubic feet marijuana grow room, your absolutely bare minimum fan CFM is at least 108 CFM, but I’d suggest at least a 200 CFM fan, or a fan with even more capacity than that. One reason I go for a high CFM fan is the air-moving capacity of a fan can be impacted by the ducting it’s connected to. Some growers have marijuana grow chambers or tents placed in a larger room area, so the exhaust fan is ported in a wall of the chamber or tent with no ducting because exhaust air goes out into open space. Presumably, the open space is somehow vented so fresh air comes in and stale air goes out. In some situations, growers rely on their home’s central heating and air conditioning system to move the air. But many intake and exhaust fans are connected to ducting, and I advise growers to have air exchange equipment specifically dedicated to their grow space. With fan-vented lights or fans connected to ducts, the length, size, and trajectory of your ducting will decrease the venting capacity. For example if you have a duct more than few feet long, or a duct tube with angled bends in it, this diminishes the airflow capacity effectiveness of your fan. You should have inline filters on your fans. A good intake inline filter is one that stops mold, mildew, and other pollutants from entering your grow space. A good outflow filter is one that stops marijuana odor from exiting your grow space. You probably already realized that when you pull air out of your cannabis grow space, you’re pulling it in from somewhere, and you’re sending it out to somewhere too. Your marijuana plants need fresh, clean air laden with C02. This air should be in an ambient temperature range of 71-74 degrees Fahrenheit. You might be wondering if you need both an intake fan and an exhaust fan. In some cases, one fan can do it all. You can have an exhaust fan pulling air into your grow space from a passive inlet. But if you’re using high intensity discharge (HID) lights, or if your outside air is the wrong temperature or humidity, you might need intake and exhaust fans so you manage heat better. It depends on the air quality, temperature, and humidity inside your marijuana grow space and wherever you’re drawing fresh air in from. Take a look at these ideal marijuana growing conditions, and you’ll see the target ranges for environmental conditions such as temperature and humidity. HID lighting is by far the best lighting for marijuana. Yes, HID lighting generates plenty of heat. Yes, you can get decent yields from small plants using something other than HID hydroponics grow lights. But despite the hype from CFL, LED, induction and other lighting manufacturers, HID is still the best when it comes to growth rate, yield, and cannabinoid production. 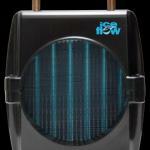 You need 50 watts of HID light for every square foot of marijuana growing area. For example, if you have a 2 x 2 foot room, that’s four square feet, and you need 200 watts of HID light, or slightly more. HID bulbs start at 240 or 250 watts and go up from there, and some digital, dimmable ballasts give you the ability to downscale a 1000-watt bulb to deliver less than a thousand watts if less watts are what you need. Another thing: match your fans to the capacity of vent ports and ducts, or else you may create pressure that damages your fans. When you buy fans, pay attention to how loud they are, especially because fan noise can be amplified by ducting. Inside your grow space you need enough oscillating fans to gently move your cannabis leaves. Does growing marijuana in a small space sound complicated? Growing your own weed is rewarding, cheaper than buying it, and fun. 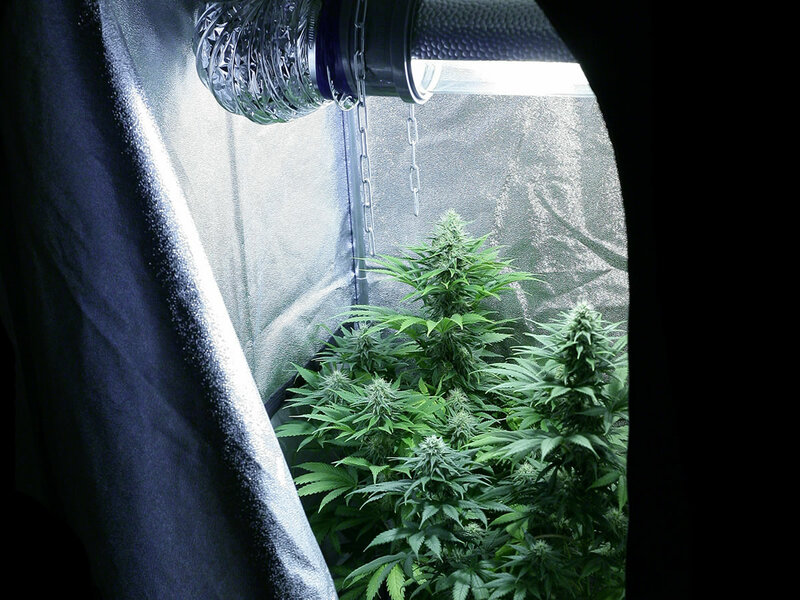 Many marijuana growers invest in a plug and play chamber or tent system. Those systems range in price from $400 to several thousand dollars. We’ll be talking about marijuana tents and chambers, and how to get big yields from small grow ops, in our next articles… so stay tuned.